Dulac’s mixture of humour, menace, grace and depth of colour blend wonderfully with these seven classic fairy tales by Hans Andersen: - The Snow Queen; The Nightingale; The Real Princess (Princess and the Pea); The Garden of Paradise; The Mermaid; The Emperor’s New Clothes; The Wind’s Tale. 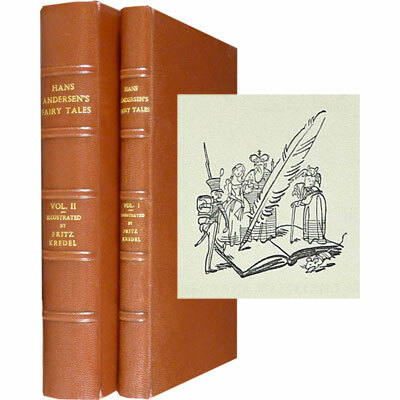 A sumptuous two volume collection, containing twenty nine of Andersen’s beloved fairy tales, including such favourites as The Little Mermaid, Thumbelina, The Princess and the Pea, and The Emperor’s New Clothes, together with Denmark's Ugly Duckling - the story of Hans Christian Andersen; The Thirteen Stories by Andersen, and correspondence offering a fascinating insight into his life, thoughts and career. Beautifully bound by Bayntun-Rivière, and illustrated by Fritz Kredel with hand-coloured drawings and sketches. A popular courtesy book written in a series of ‘conferences’ in the place of chapters. These include Virtue, Pride, Generosity, Female Conduct, Friendship, Love of Truth, Brotherly Love, Study, Pleasure, Ambition, Vanity, Relative Duty, Patriotism, Social Duties. Unlike most courtesy books, Caraccioli's has the semblance of a plot and reads somewhat like a novel, which ends with the death of the main character. Advice from a Lady went through numerous editions in England and America. 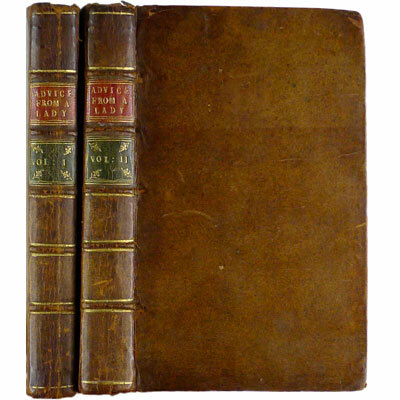 A complete and thus uncommon little six volume set of Maria Edgeworth’s influential collection of tales for children, first published in 1796 and popular throughout the 19th century. Her stories both amused and instructed, painting memorable moral anecdotes for boys and girls against frequently picturesque landscapes while communicating the important societal values of the period. Included: Preface, Lazy Lawrence, Tarlton, The False Key; The Birthday Present, Simple Susan; The Bracelets, The Little Merchants; Old Poz, The Mimic, Mademoiselle Panache; The Basket-Woman, The white Pigeon, The Orphans, Waste Not Want Not, Forgive and Forget; Barring Out, Eton Montem. 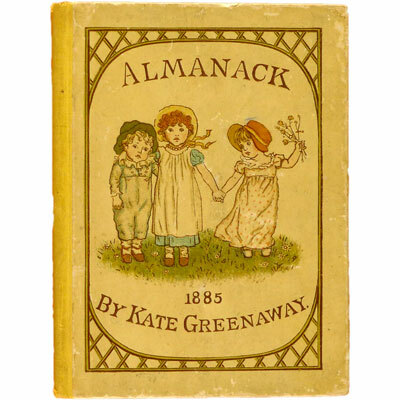 Charmingly illustrated series of nine songs for young children, beginning with ‘Waking Up’ and ending with ‘Sleeping’, enhanced throughout with colour wood cuts by the wonderful Kate Greenaway, engraved and printed by Edmund Evans. The accompanying musical score is by Myles B. Foster.